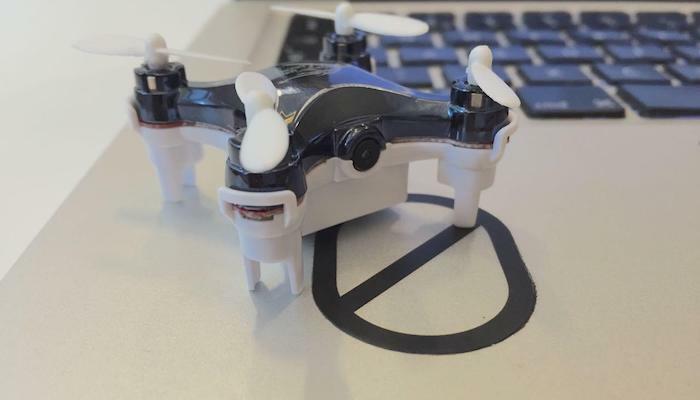 Olivier and I ordered a couple of Wi-Fi FPV Nano Drones (FQ777–954), and we thought we should sell them. But then we realized everyone wanted one; not to fly, but to hack. This drone is creating an unprotected Wi-Fi access point, with which a mobile phone can connect. This so the owner can control the drone with an app like RC Leading (iOS). Beautifully easy to use, but every hacker will connect his laptop, do an NMAP scan and check what is happening inside. Well, there are some TCP possibilities, as well as UDP. Even Telnet is possible. We’ve been wiresharking. And did some research. Found people who did this job (partially) in open source github repos. Made it fly with our keyboard. Pretty cool. So this made us realize we should let hackers and coders collaborate, instead of us doing all the cool stuff. That’s why we created a LearningSpace and promised some selected hackers we would provide them with a drone, if they just take some time to research and code. Pretty cool, right? Though we had a problem: To make the drone always accessible, it needs a good battery and charger. The FQ777 can’t be turned ON and charged simultaneously. Nailed it! We made our FQ777–954 inductive ready. This by disassemble a battery pack from Xbox 360 inductive charging kit. Stripped out the inductive electronics and soldered it onto the drone. Now we have an internet connected, wireless charged drone, charging on his own landing spot. The ultimate goal is collaboration! Together make a script/app to fly the drone from remote through our office. With a livestream! Share all your achievements, questions and informationals; hack, learn and share. That’s it. Are you interested in joining this little project? Signup here (LearningSpace)to collaborate. We have limited drones available to sent to you guys and girls. But as said; limited. So we’re not in the position to provide everyone a free drone. Though they can be bought in practically any webstore, for under 30$.